1:10 -- Brendan Costa '21 touchdown run. 1:40 -- Max Breschi '18 interception. 2:00 -- Grant DeWald '18 field goal. 2:28 -- Mickoy Nichol '18 touchdown run. 2:56 -- Brian Daly '18 touchdown catch. 3:17 -- Bates defense forces a fumble. 3:51 -- Football Head Coach Mark Harriman interview. 11:38 -- Men's Soccer coverage. 11:55 -- Beaufils Kimpolo '20 goal and quote. 12:45 -- Field Hockey coverage. 13:02 -- Taylor Lough '19 goal and quote. 23:29 -- Cross Country coverage. 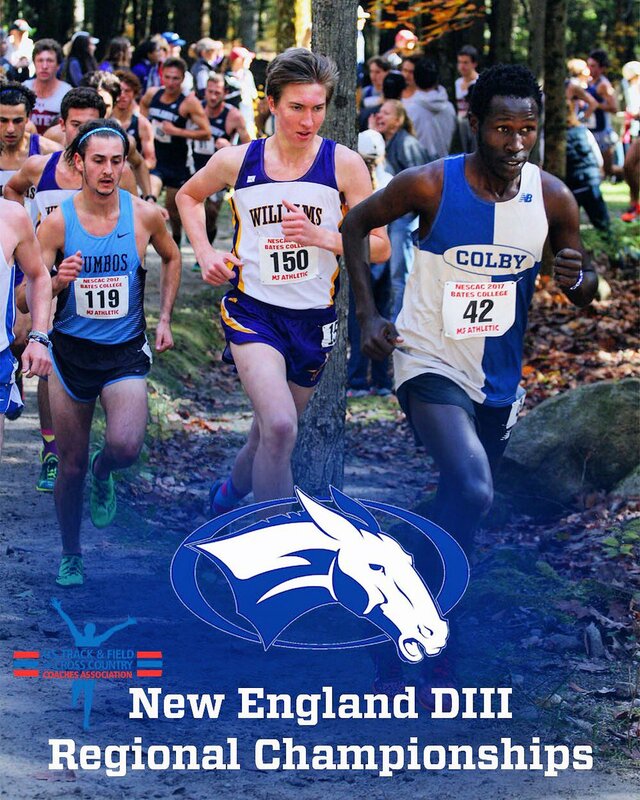 24:01 -- Ayden Eickhoff '19 Interview (Women's Cross Country 2nd Team All-NESCAC). 28:53 -- Men's Cross Country Head Coach Al Fereshetian Interview. 35:20 -- Volleyball Head Coach Melissa DeRan Interview. 40:52 -- Grant DeWald '18 Interview (NESCAC Special Teams Player of the Week). 2017 #NACwxc All-Conference: LeBlanc, Maggi & Shafer Earn Top Honors. Check http://bit.ly/2lANgDW for 1st, 2nd & the Sportsmanship teams! 2017 #NACmxc All-Conference: Brigante, Sands & Smith Take Top Honors. Check http://bit.ly/2zYopwb for 1st, 2nd & the Sportsmanship teams! 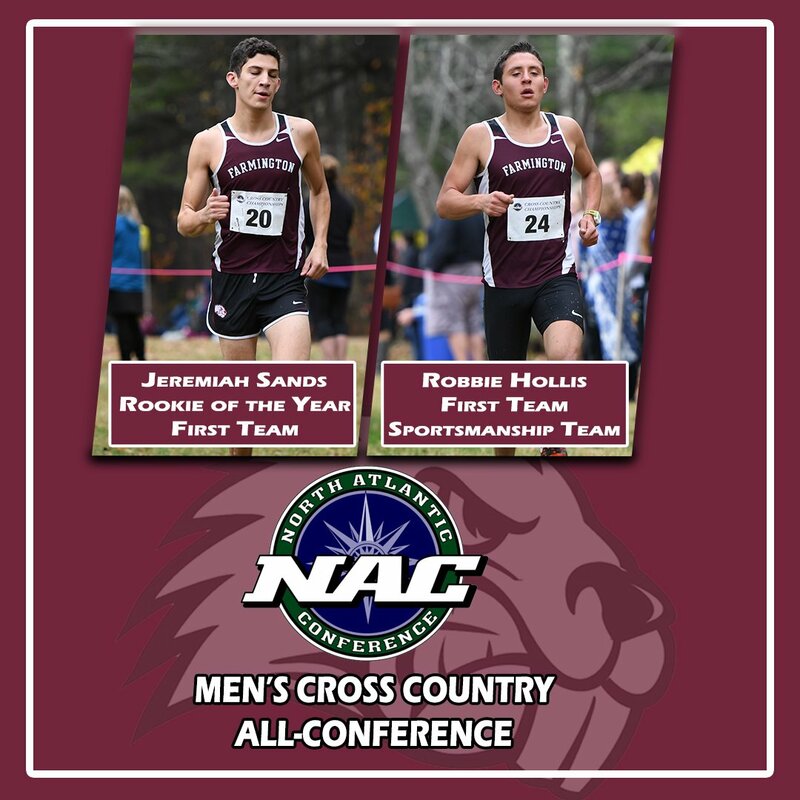 Jeremiah Sands and Robbie Hollis Earn First Team All-Conference Honors!! Congrats! Katie LeBlanc, Laura Pulito, Gwen Baker and Molly Jack Claim All-Conference Honors. Dan Campbell is named Coach of the Year!! PRESQUE ISLE, Maine — Members of the University of Maine at Presque Isle men’s and women’s cross country teams are preparing for the United States Collegiate Athletic Association national championships, to be held on Friday, Nov. 10, in Virginia Beach, Virginia. Both meets will be held at the Virginia Beach Sportsplex and the course will take the participants around the Princess Anne Athletic Complex. The men qualified as a team and all of the members will compete, while the women will be sending Emmy Churchill as their lone representative.